Jayma M. Meyer is counsel at Simpson Thacher & Bartlett and a visiting scholar at Indiana University. 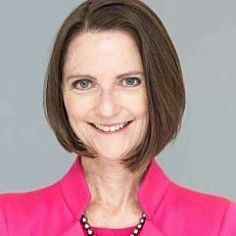 Meyer began her legal career as an attorney in the Bureau of Competition, Federal Trade Commission, in Washington, D.C. She moved to private practice in 1981 and joined Simpson Thacher & Bartlett in New York City. She established Simpson Thacher’s Los Angeles office in 1995 and returned to the New York office in the fall of 1998. At Simpson Thacher, Meyer has represented clients on antitrust and sports issues throughout the United States, including briefing in the U.S. Supreme Court, and pro bono clients on Title IX and other matters involving gender, sports, and education. At Indiana University, Meyer teaches sports law and public policy, consults on matters impacting student-athletes, and lectures on Title IX, amateurism, and other ethical issues in sports. Meyer is on the board of directors of the National Women’s Law Center, Women’s Sports Foundation, Reproductive Health Access Project, and Urban Assembly Girls School for Criminal Justice. She has been named a New York Super Lawyer in the categories of Antitrust and Top Women Lawyers and received the Distinguished Alumni Award from SPEA, Indiana University, in 2014. Meyer is an active member of the Sports Lawyers Association and numerous antitrust and sports committees at the city, state, and federal levels. Meyer was a top-10 world-ranked swimmer in the early 1970s before Title IX opened broad intercollegiate opportunities for women. She received a B.S. from Indiana University (SPEA) in 1975, with high distinction, and a J.D. from Georgetown University Law Center in 1978.